SOVO started in the early 2000s, via its parent organization the Centre de Recherche Informatique de Montréal (CRIM), the development of a unique technology based on speech recognition for realtime closed captioning of live broadcasts. Realtime “voice writers” can now be trained in a matter of a few weeks, thereby eliminating the elements of scarcity associated with stenographers. The system ensures a fully scaleable model for realtime transcription and captioning needs. In 2010, SOVO Technologies Inc. was launched to commercialize the proprietary system and its applications. SOVO now offers turnkey accessibility services mostly for the closed captioning of live and offline TV or web broadcasts, serving leading broadcasters and government organizations in Canada and in Europe. SOVO uses its own exclusive and proprietary speech recognition technology built 100% from the ground up to serve the specific needs of realtime captioning and transcription services, and continues to invest heavily into research and development to keep up its technology lead. SOVO is the first organization in the world to develop its technology based on the latest techniques in deep learning and artificial intelligence, specifically applied to the task of respeaking for live captioning. SOVO is the only service provider to own 100% of its technology components for live captioning, thereby allowing the company to quickly adapt to specific customer requirements, to new regulations or to new opportunities for productivity and quality improvements. SOVO completely manages all of the performance aspects of its service from the recruiting, training and regular quality monitoring of the captioners (a.k.a. “voice writers”), to the maintenance of the large shared dictionaries and language models, and the constant evolution of the systems, the application and its speech recognition software, and more. Doing so allows us to offer the utmost quality in realtime captioning now and in the future, using a completely transparent and scalable model. As opposed to most other outsourcing companies, SOVO performs all of its live captioning in its own facilities, not using any resource working outside our premises. This ensures we have total control over the quality of the productions and can offer a totally reliable and flexible end-to-end service to our customers. It also means all of the customer’s signals can be routed for live productions to a single place of business, equipped with highly redundant and fail-safe equipment as well as with technical support during all live productions at any time during the day.  SOVO offers unmatched live closed captioning performance (accuracy, lag time, etc) of television and internet-based broadcasts and events. The company is proud to offer a CRTC standards-compliance program to all its Canadian customers since 2012.